“Executive Report.” Commission to Assess the Threat to the United States from Electromagnetic Pulse (EMP) Attack. (2004).http://michaelmabee.info/wp-content/uploads/2017/10/EMP-Commission-Report-2004-exec_rpt.pdf (accessed June 23, 2018). 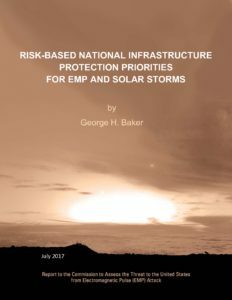 “Critical National Infrastructures.” Commission to Assess the Threat to the United States from Electromagnetic Pulse (EMP) Attack (2008). 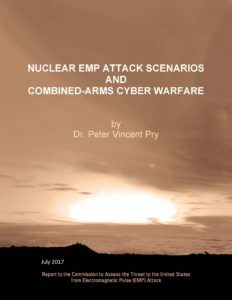 https://permanent.access.gpo.gov/LPS101707/A2473-EMP_Commission-7MB.pdf (accessed June 23, 2018). 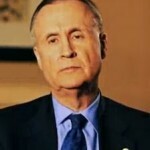 Letter from Dr. William R. Graham, Chairman, to the U.S. Nuclear Regulatory Commission. 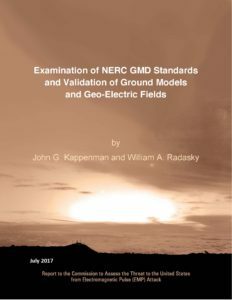 August 5, 2011. https://www.nrc.gov/docs/ML1127/ML11279A118.pdf (accessed June 23, 2018). Letter from Dr. William R. Graham, Chairman, to Secretary of Energy Rick Perry. 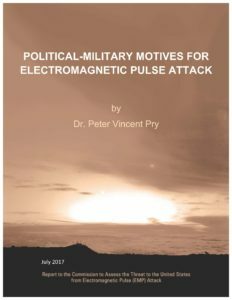 April 20, 2017. http://highfrontier.org/wp-content/uploads/2018/02/PERRY-V-4-NEWEMPCltr2PERRY2017.pdf (accessed June 23, 2018). Statement for the Record of Dr. William R. Graham, Chairman, and Dr. Peter Vincent Pry, Chief of Staff, Commission to Assess the Threat to the United States from Electromagnetic Pulse (EMP) Attack. Before the U.S. House of Representatives Committee on Homeland Security. October 12, 2017 http://docs.house.gov/meetings/HM/HM09/20171012/106467/HHRG-115-HM09-Wstate-PryP-20171012.pdf (accessed June 23, 2018). Dr. William R. Graham. “Chairman’s Report.” (July 2017) https://michaelmabee.info/wp-content/uploads/2018/08/2017-Chairmans-Report.pdf (accessed November 1, 2018). 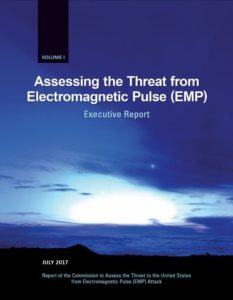 “Assessing the Threat from Electromagnetic Pulse (EMP) Executive Report.” (July 2017) https://michaelmabee.info/wp-content/uploads/2018/05/2017-Executive-Report-on-Assessing-the-Threat-from-EMP-FINAL-April2018.pdf (accessed June 23, 2018). 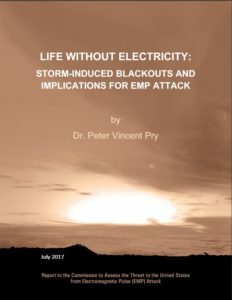 “Life Without Electricity: Storm-Induced Blackouts and Implications for EMP Attack.” (July 2017) https://michaelmabee.info/wp-content/uploads/2018/05/2017-Life-Without-Electricity-FINAL-April2018.pdf (accessed June 23, 2018). “Recommended E3 HEMP Heave Electric Field Waveform for the Critical Infrastructures.” (July 2017) https://michaelmabee.info/wp-content/uploads/2018/05/2017-Recommended-E3-Waveform-for-Critical-Infrastructures-FINAL-April2018.pdf (accessed June 23, 2018). 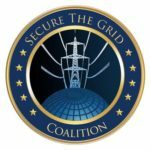 The Secure the Grid Coalition agrees. Presently, the grid is self regulated. The mind-numbingly complex self-regulatory scheme between the Federal Energy Regulatory Commission (FERC) and the North American Electric Reliability Corporation (NERC) has proven ineffective at addressing the threats to the electric grid. 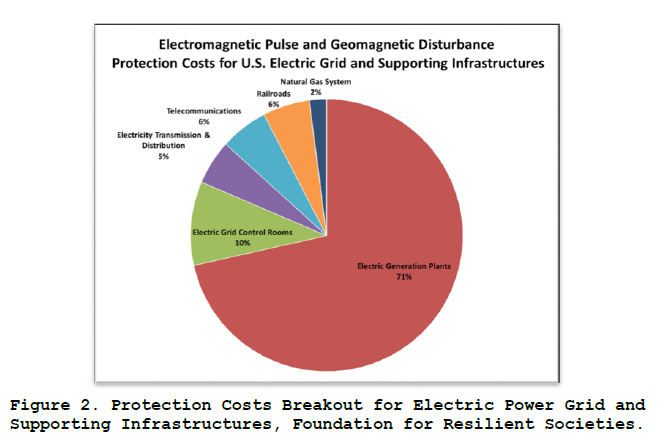 The United States needs the executive branch to take charge of protecting the electric grid. Every day that goes by is another day that millions of Americans’ lives are at risk. 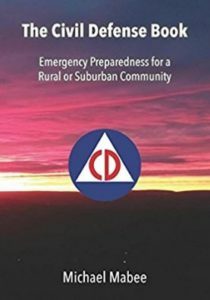 “Critical National Infrastructures.” Commission to Assess the Threat to the United States from Electromagnetic Pulse (EMP) Attack. (2008). 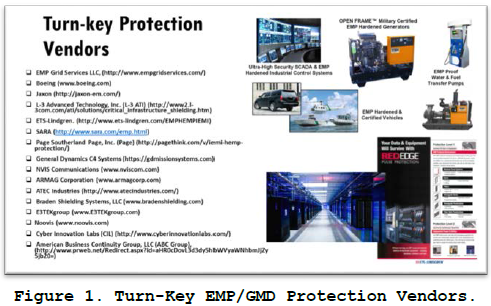 https://permanent.access.gpo.gov/LPS101707/A2473-EMP_Commission-7MB.pdf (accessed June 23, 2018).